Exelon (rivastigmine tartrate) is a reversible cholinesterase inhibitor and is known chemically as (S)-N-Ethyl-N-methyl-3-[1-(dimethylamino)ethyl]-phenyl carbamate hydrogen-(2R,3R)-tartrate. Rivastigmine tartrate is commonly referred to in the pharmacological literature as SDZ ENA 713 or ENA 713. It has an empirical formula of C14H22N2O2?C4H6O6 (hydrogen tartrate salt - hta salt) and a molecular weight of 400.43 (hta salt). Rivastigmine tartrate is a white to off-white, fine crystalline powder that is very soluble in water, soluble in ethanol and acetonitrile, slightly soluble in n-octanol and very slightly soluble in ethyl acetate. The distribution coefficient at 37°C in n- octanol/phosphate buffer solution pH 7 is 3.0. Exelon Capsules contain rivastigmine tartrate, equivalent to 1.5, 3, 4.5 and 6 mg of rivastigmine base for oral administration. Inactive ingredients are hydroxypropyl methylcellulose, magnesium stearate, microcrystalline cellulose, and silicon dioxide. Each hard-gelatin capsule contains gelatin, titanium dioxide and red and/or yellow iron oxides. Exelon Oral Solution is supplied as a solution containing rivastigmine tartrate, equivalent to 2 mg/mL of rivastigmine base for oral administration. Inactive ingredients are citric acid, D&C yellow #10, purified water, sodium benzoate and sodium citrate. Exelon? (rivastigmine tartrate) is indicated for the treatment of mild to moderate dementia of the Alzheimer's type. Exelon? (rivastigmine tartrate) is indicated for the treatment of mild to moderate dementia associated with Parkinson's disease. The dementia of Parkinson's disease is purportedly characterized by impairments in executive function, memory retrieval, and attention, in patients with an established diagnosis of Parkinson's disease. The diagnosis of the dementia of Parkinson's disease, however, can reliably be made in patients in whom a progressive dementia syndrome occurs (without the necessity to document the specific deficits described above) at least 2 years after a diagnosis of Parkinson's disease has been made, and in whom other causes of dementia have been ruled out (see CLINICAL PHARMACOLOGY, Clinical Trial Data). The dosage of Exelon? (rivastigmine tartrate) shown to be effective in controlled clinical trials in Alzheimer's Disease is 6-12 mg/day, given as twice-a-day dosing (daily doses of 3 to 6 mg BID). There is evidence from the clinical trials that doses at the higher end of this range may be more beneficial. The dosage of Exelon? shown to be effective in the single controlled clinical trial conducted in dementia associated with Parkinson's Disease is 3 to 12 mg/day, given as twice-a-day dosing (daily doses of 1.5 to 6 mg BID). In that medical condition, the starting dose of Exelon? is 1.5 mg BID; subsequently, the dose may be increased to 3 mg BID and further to 4.5 mg BID and 6 mg BID, based on tolerability, with a minimum of 4 weeks at each dose. Recommendations for Administration: Caregivers should be instructed in the correct procedure for administering Exelon Oral Solution. In addition, they should be directed to the Instruction Sheet (included with the product) describing how the solution is to be administered. Caregivers should direct questions about the administration of the solution to either their physician or pharmacist (see PRECAUTIONS: Information for Patients and Caregivers). 1.5 mg Capsule - yellow, "Exelon 1,5 mg" is printed in red on the body of the capsule. 3 mg Capsule - orange, "Exelon 3 mg" is printed in red on the body of the capsule. 4.5 mg Capsule - red, "Exelon 4,5 mg" is printed in white on the body of the capsule. 6 mg Capsule - orange and red, "Exelon 6 mg" is printed in red on the body of the capsule. Store at 25°C (77°F); excursions permitted to 15-30°C (59-86°F) [see USP Controlled Room Temperature]. Store in a tight container. Exelon? (rivastigmine tartrate) Oral Solution is supplied as 120 mL of a clear, yellow solution (2 mg/mL base) in a 4-ounce USP Type III amber glass bottle with a child-resistant 28-mm cap, 0.5-mm foam liner, dip tube and self- aligning plug. The oral solution is packaged with a dispenser set which consists of an assembled oral dosing syringe that allows dispensing a maximum volume of 3 mL corresponding to a 6-mg dose, with a plastic tube container. Store at 25°C (77°F); excursions permitted to 15-30°C (59-86°F) [see USP Controlled Room Temperature]. Store in an upright position and protect from freezing. When Exelon Oral Solution is combined with cold fruit juice or soda, the mixture is stable at room temperature for up to 4 hours. 1. Remove oral dosing syringe from its protective case. Push down and twist child resistant closure to open bottle. 2. Insert tip of syringe into opening of white stopper. 3. While holding the syringe, pull the plunger up to the level (see markings on side of syringe) that equals the dose prescribed by your doctor. 4. Before removing syringe containing prescribed dose from bottle, push out large bubbles by moving plunger up and down a few times. After the large bubbles are gone, pull the plunger again to the level that equals the dose prescribed by your doctor. Do not worry about a few tiny bubbles. This will not affect your dose in any way. Remove the syringe from the bottle. 5. You may swallow Exelon Oral Solution directly from the syringe or mix with a small glass of water, cold fruit juice or soda. If mixing with water, juice or soda, be sure to stir completely and to drink the entire mixture. DO NOT MIX WITH OTHER LIQUIDS. 6. After use, wipe outside of syringe with a clean tissue and put it back into its case. Close bottle using child resistant closure. Store Exelon Oral Solution at room temperature below 25°C (77°F) in an upright position. Do not place in freezer. The rate of discontinuation due to adverse events in controlled clinical trials of Exelon? (rivastigmine tartrate) was 15% for patients receiving 6-12 mg/day compared to 5% for patients on placebo during forced weekly dose titration. While on a maintenance dose, the rates were 6% for patients on Exelon compared to 4% for those on placebo. The most common adverse events, defined as those occurring at a frequency of at least 5% and twice the placebo rate, are largely predicted by Exelon's cholinergic effects. These include nausea, vomiting, anorexia, dyspepsia, and asthenia. Exelon use is associated with significant nausea, vomiting, and weight loss (see WARNINGS). Table 2 lists treatment-emergent signs and symptoms that were reported in at least 2% of patients in placebo-controlled trials and for which the rate of occurrence was greater for patients treated with Exelon doses of 6-12 mg/day than for those treated with placebo. The prescriber should be aware that these figures cannot be used to predict the frequency of adverse events in the course of usual medical practice when patient characteristics and other factors may differ from those prevailing during clinical studies. Similarly, the cited frequencies cannot be directly compared with figures obtained from other clinical investigations involving different treatments, uses, or investigators. An inspection of these frequencies, however, does provide the prescriber with one basis by which to estimate the relative contribution of drug and non-drug factors to the adverse event incidences in the population studied. In general, adverse reactions were less frequent later in the course of treatment. No systematic effect of race or age could be determined from the incidence of adverse events in the controlled studies. Nausea, vomiting and weight loss were more frequent in women than men. Other adverse events observed at a rate of 2% or more on Exelon 6-12 mg/day but at a greater or equal rate on placebo were chest pain, peripheral edema, vertigo, back pain, arthralgia, pain, bone fracture, agitation, nervousness, delusion, paranoid reaction, upper respiratory tract infection, infection (general), coughing, pharyngitis, bronchitis, rash (general), urinary incontinence. The rate of discontinuation due to adverse events in the single controlled trial of Exelon? (rivastigmine tartrate) was 18.2% for patients receiving 3-12 mg/day compared to 11.2% for patients on placebo during the 24 week study. The most frequent adverse events that led to discontinuation from this study, defined as those occurring in at least 1% of patients receiving Exelon and more frequent than those receiving placebo, were nausea (3.6% Exelon vs. 0.6% placebo), vomiting (1.9% Exelon vs 0.6% placebo), and tremor (1.7% Exelon vs. 0.0% placebo). The most common adverse events, defined as those occurring at a frequency of at least 5% and twice the placebo rate, are largely predicted by Exelon's cholinergic effects. These include nausea, vomiting, tremor, anorexia, and dizziness. Table 3 lists treatment emergent signs and symptoms that were reported in at least 2% of patients in placebo-controlled trials and for which the rate of occurrence was greater for patients treated with Exelon doses of 3-12 mg/day than for those treated with placebo. The prescriber should be aware that these figures cannot be used to predict the frequency of adverse events in the course of usual medical practice when patient characteristics and other factors may differ from those prevailing during clinical studies. Similarly, the cited frequencies cannot be directly compared with figures obtained from other clinical investigations involving different treatments, uses, or investigators. An inspection of these frequencies, however, does provide the prescriber with one basis by which to estimate the relative contribution of drug and non-drug factors to the adverse event incidences in the population studied. Effect of Exelon on the Metabolism of Other Drugs: Rivastigmine is primarily metabolized through hydrolysis by esterases. Minimal metabolism occurs via the major cytochrome P450 isoenzymes. Based on in vitro studies, no pharmacokinetic drug interactions with drugs metabolized by the following isoenzyme systems are expected: CYP1A2, CYP2D6, CYP3A4/5, CYP2E1, CYP2C9, CYP2C8, or CYP2C19. No pharmacokinetic interaction was observed between rivastigmine and digoxin, warfarin, diazepam, or fluoxetine in studies in healthy volunteers. The elevation of prothrombin time induced by warfarin is not affected by administration of Exelon. Effect of Other Drugs on the Metabolism of Exelon: Drugs that induce or inhibit CYP450 metabolism are not expected to alter the metabolism of rivastigmine. Single dose pharmacokinetic studies demonstrated that the metabolism of rivastigmine is not significantly affected by concurrent administration of digoxin, warfarin, diazepam, or fluoxetine. Population PK analysis with a database of 625 patients showed that the pharmacokinetics of rivastigmine were not influenced by commonly prescribed medications such as antacids (n=77), antihypertensives (n=72), β-blockers (n=42), calcium channel blockers (n=75), antidiabetics (n=21), nonsteroidal antiinflammatory drugs (n=79), estrogens (n=70), salicylate analgesics (n=177), antianginals (n=35), and antihistamines (n=15). Exelon? (rivastigmine tartrate) use is associated with significant gastrointestinal adverse reactions, including nausea and vomiting, anorexia, and weight loss. For this reason, patients should always be started at a dose of 1.5 mg BID and titrated to their maintenance dose. If treatment is interrupted for longer than several days, treatment should be reinitiated with the lowest daily dose (see DOSAGE AND ADMINISTRATION) to reduce the possibility of severe vomiting and its potentially serious sequelae (e.g., there has been one post-marketing report of severe vomiting with esophageal rupture following inappropriate reinitiation of treatment with a 4.5-mg dose after 8 weeks of treatment interruption). Nausea and Vomiting: In the controlled clinical trials, 47% of the patients treated with an Exelon dose in the therapeutic range of 6-12 mg/day (n=1189) developed nausea (compared with 12% in placebo). A total of 31% of Exelon-treated patients developed at least one episode of vomiting (compared with 6% for placebo). The rate of vomiting was higher during the titration phase (24% vs. 3% for placebo) than in the maintenance phase (14% vs. 3% for placebo). The rates were higher in women than men. Five percent of patients discontinued for vomiting, compared to less than 1% for patients on placebo. Vomiting was severe in 2% of Exelon-treated patients and was rated as mild or moderate each in 14% of patients. The rate of nausea was higher during the titration phase (43% vs. 9% for placebo) than in the maintenance phase (17% vs. 4% for placebo). Weight Loss: In the controlled trials, approximately 26% of women on high doses of Exelon (greater than 9 mg/day) had weight loss equal to or greater than 7% of their baseline weight compared to 6% in the placebo-treated patients. About 18% of the males in the high-dose group experienced a similar degree of weight loss compared to 4% in placebo-treated patients. It is not clear how much of the weight loss was associated with anorexia, nausea, vomiting, and the diarrhea associated with the drug. Anorexia: In the controlled clinical trials, of the patients treated with an Exelon dose of 6-12 mg/day, 17% developed anorexia compared to 3% of the placebo patients. Neither the time course or the severity of the anorexia is known. Peptic Ulcers/Gastrointestinal Bleeding: Because of their pharmacological action, cholinesterase inhibitors may be expected to increase gastric acid secretion due to increased cholinergic activity. Therefore, patients should be monitored closely for symptoms of active or occult gastrointestinal bleeding, especially those at increased risk for developing ulcers, e.g., those with a history of ulcer disease or those receiving concurrent nonsteroidal antiinflammatory drugs (NSAIDs). Clinical studies of Exelon have shown no significant increase, relative to placebo, in the incidence of either peptic ulcer disease or gastrointestinal bleeding. Exelon as a cholinesterase inhibitor, is likely to exaggerate succinylcholine- type muscle relaxation during anesthesia. Drugs that increase cholinergic activity may have vagotonic effects on heart rate (e.g., bradycardia). The potential for this action may be particularly important to patients with "sick sinus syndrome" or other supraventricular cardiac conduction conditions. In clinical trials, Exelon was not associated with any increased incidence of cardiovascular adverse events, heart rate or blood pressure changes, or ECG abnormalities. Syncopal episodes have been reported in 3% of patients receiving 6-12 mg/day of Exelon, compared to 2% of placebo patients. Although this was not observed in clinical trials of Exelon, drugs that increase cholinergic activity may cause urinary obstruction. Seizures: Drugs that increase cholinergic activity are believed to have some potential for causing seizures. However, seizure activity also may be a manifestation of Alzheimer's Disease. Like other drugs that increase cholinergic activity, Exelon should be used with care in patients with a history of asthma or obstructive pulmonary disease. In carcinogenicity studies conducted at dose levels up to 1.1 mg- base/kg/day in rats and 1.6 mg-base/kg/day in mice, rivastigmine was not carcinogenic. These dose levels are approximately 0.9 times and 0.7 times the maximum recommended human daily dose of 12 mg/day on a mg/m2 basis. Rivastigmine was clastogenic in two in vitro assays in the presence, but not the absence, of metabolic activation. It caused structural chromosomal aberrations in V79 Chinese hamster lung cells and both structural and numerical (polyploidy) chromosomal aberrations in human peripheral blood lymphocytes. Rivastigmine was not genotoxic in three in vitro assays: the Ames test, the unscheduled DNA synthesis (UDS) test in rat hepatocytes (a test for induction of DNA repair synthesis), and the HGPRT test in V79 Chinese hamster cells. Rivastigmine was not clastogenic in the in vivo mouse micronucleus test. Rivastigmine had no effect on fertility or reproductive performance in the rat at dose levels up to 1.1 mg-base/kg/day. This dose is approximately 0.9 times the maximum recommended human daily dose of 12 mg/day on a mg/m2 basis. Pregnancy Category B: Reproduction studies conducted in pregnant rats at doses up to 2.3 mg-base/kg/day (approximately 2 times the maximum recommended human dose on a mg/m2 basis) and in pregnant rabbits at doses up to 2.3 mg-base/kg/day (approximately 4 times the maximum recommended human dose on a mg/m2 basis) revealed no evidence of teratogenicity. Studies in rats showed slightly decreased fetal/pup weights, usually at doses causing some maternal toxicity; decreased weights were seen at doses which were several fold lower than the maximum recommended human dose on a mg/m2 basis. There are no adequate or well-controlled studies in pregnant women. Because animal reproduction studies are not always predictive of human response, Exelon should be used during pregnancy only if the potential benefit justifies the potential risk to the fetus. It is not known whether rivastigmine is excreted in human breast milk. 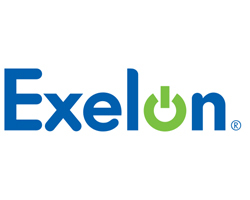 Exelon has no indication for use in nursing mothers. There are no adequate and well-controlled trials documenting the safety and efficacy of Exelon in any illness occurring in children. As Exelon? (rivastigmine tartrate) has a short plasma half-life of about one hour and a moderate duration of acetylcholinesterase inhibition of 8-10 hours, it is recommended that in cases of asymptomatic overdoses, no further dose of Exelon should be administered for the next 24 hours. As in any case of overdose, general supportive measures should be utilized. Overdosage with cholinesterase inhibitors can result in cholinergic crisis characterized by severe nausea, vomiting, salivation, sweating, bradycardia, hypotension, respiratory depression, collapse and convulsions. Increasing muscle weakness is a possibility and may result in death if respiratory muscles are involved. Atypical responses in blood pressure and heart rate have been reported with other drugs that increase cholinergic activity when co-administered with quaternary anticholinergics such as glycopyrrolate. Due to the short half-life of Exelon, dialysis (hemodialysis, peritoneal dialysis, or hemofiltration) would not be clinically indicated in the event of an overdose. In overdoses accompanied by severe nausea and vomiting, the use of antiemetics should be considered. In a documented case of a 46-mg overdose with Exelon, the patient experienced vomiting, incontinence, hypertension, psychomotor retardation, and loss of consciousness. The patient fully recovered within 24 hours and conservative management was all that was required for treatment. Exelon? (rivastigmine tartrate) is contraindicated in patients with known hypersensitivity to rivastigmine, other carbamate derivatives or other components of the formulation (see DESCRIPTION).